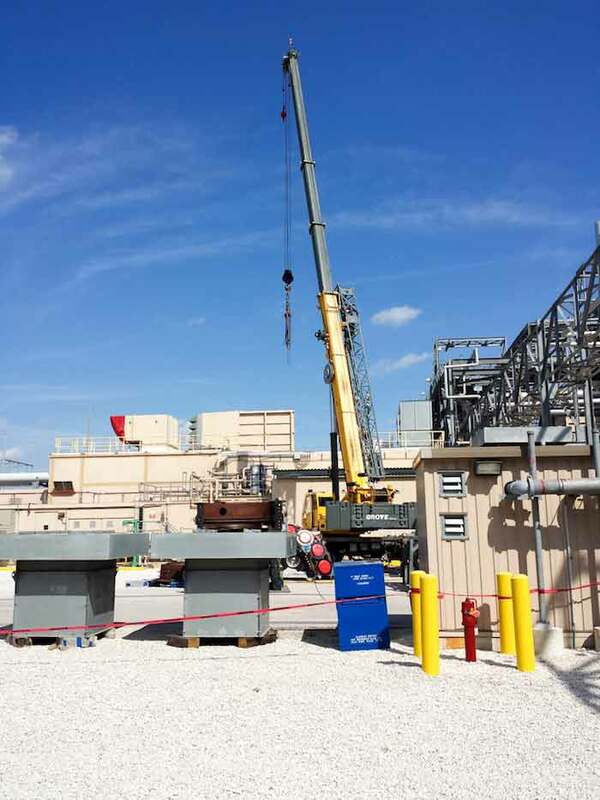 Looking for a Tampa Crane Service for a Heavy Lifting Project? 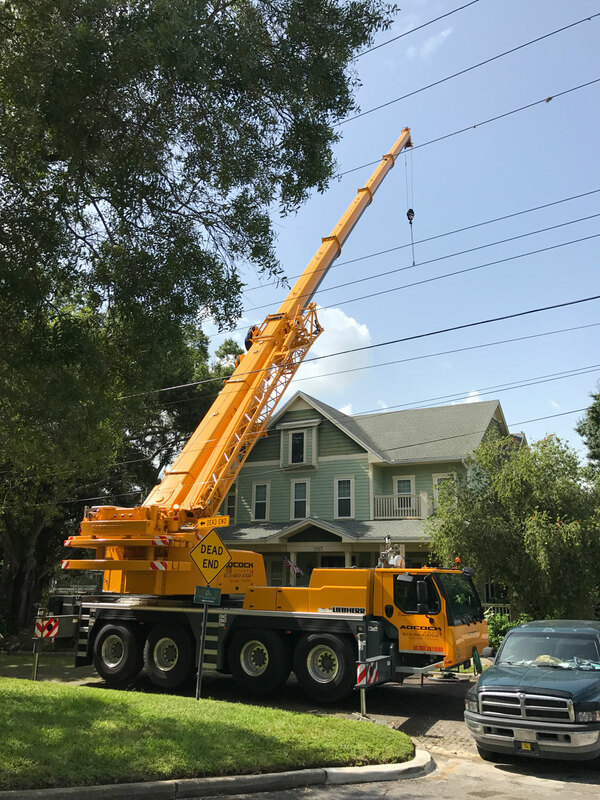 Our Tampa Crane Services include Industrial crane lifting, HVAC lifting services, landscaping and tree removal as well as communication tower lifting, power line construction, highway and bridge construction, light construction and crane project planning. Call us today at (813) 662-4708 for a no obligation quote. Total boom and jib 260 ft tip height. 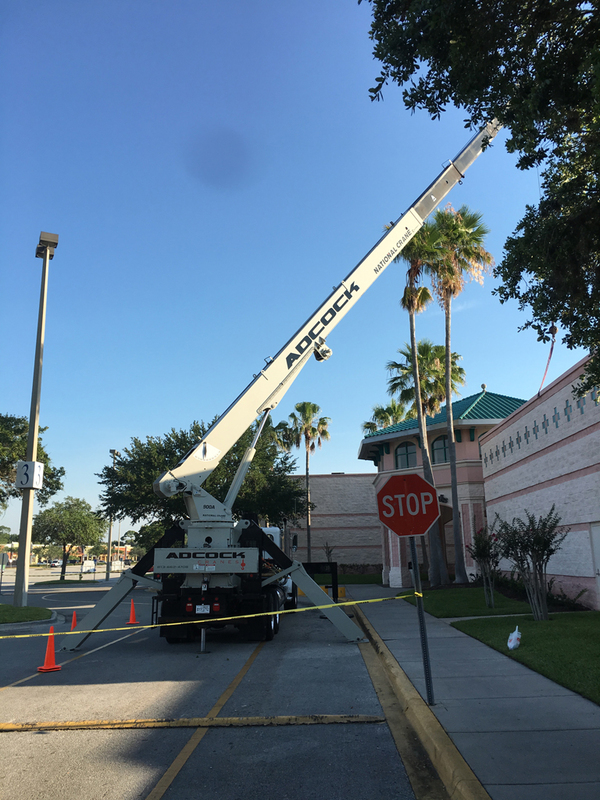 If your business requires you to reach higher than other vehicles or traditional ladders can safely and efficiently reach, then consider a boom truck. Call Adcock Crane for more information. It is a state-of-the-art air conditioner transport tool. 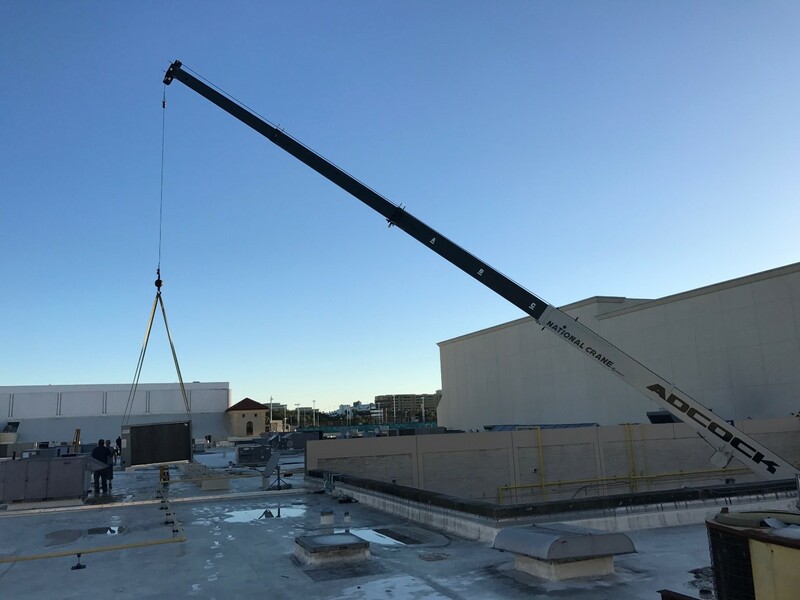 The tool is designed to allow anyone of normal strength to move a 1,500lb air conditioner on a rooftop. Multiple units can be used for heavier units up to 4000 pounds. 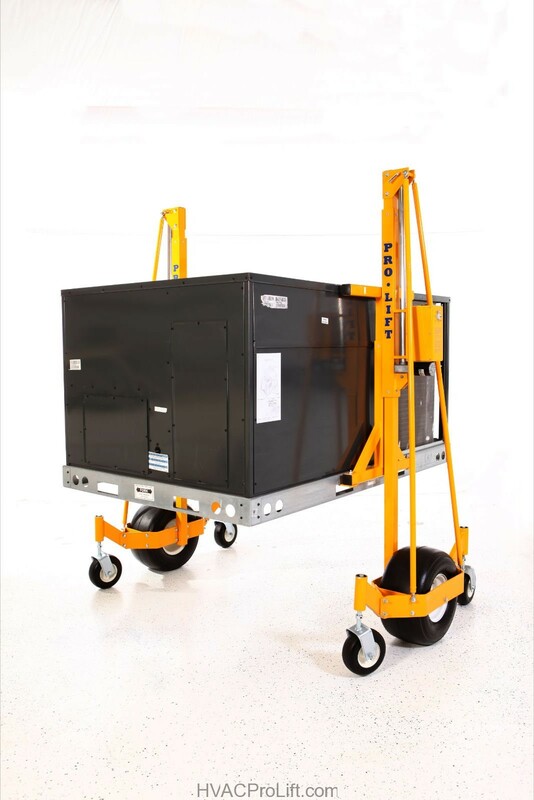 This AC lifting and transport system is battery operated to allow for complete portability. Each side of the dual-piece HVAC dolly has a large pneumatic main tire plus spring-loaded front and rear castors to provide a zero-turning radius. 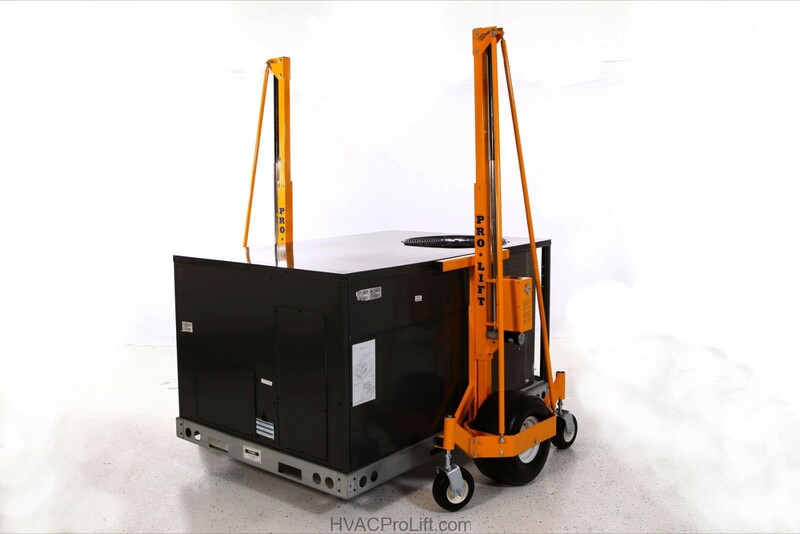 With this AC lift, you can easily roll a unit weighing 1,500 pounds over an uneven surface (3,000-4,500 pounds using multiple sets). Furthermore, since nothing extends underneath the AC unit, it is no problem to place it directly on the roof curb. 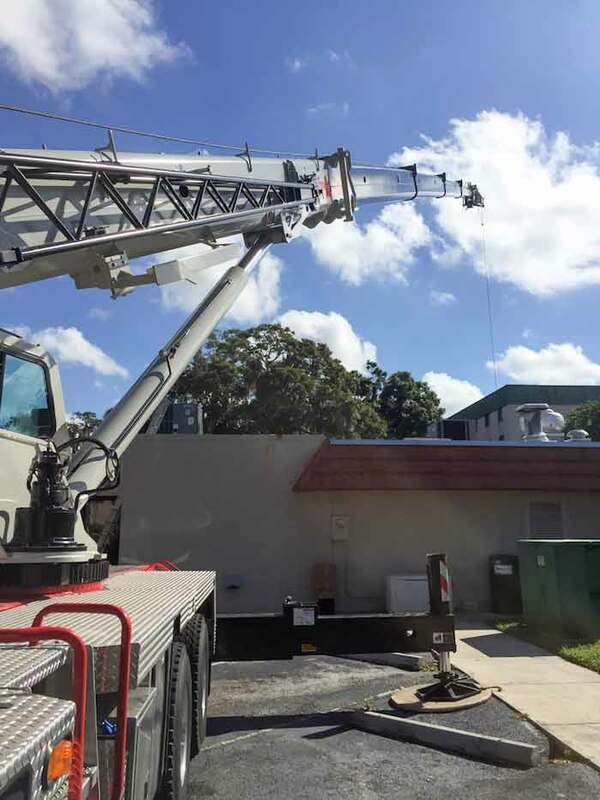 The certified crane operators at Adcock Cranes Inc are not only proficient in crane operation but also with the operation of the Pro Lift system and can safely and quickly place your air units . Our operators have thousands of hours of on site plant experience including paper mills, power generating facilities, sub station construction, and mine facilities to name a few. 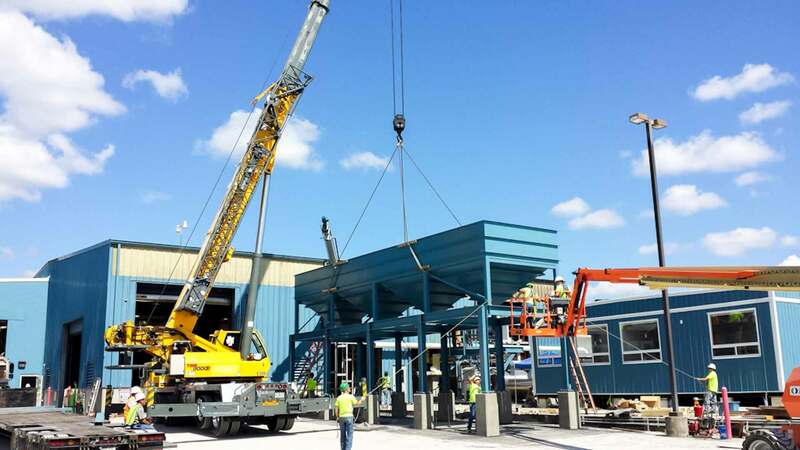 At Adcock Cranes, we have accumulated years of A/C and heating system change outs and new construction experience. 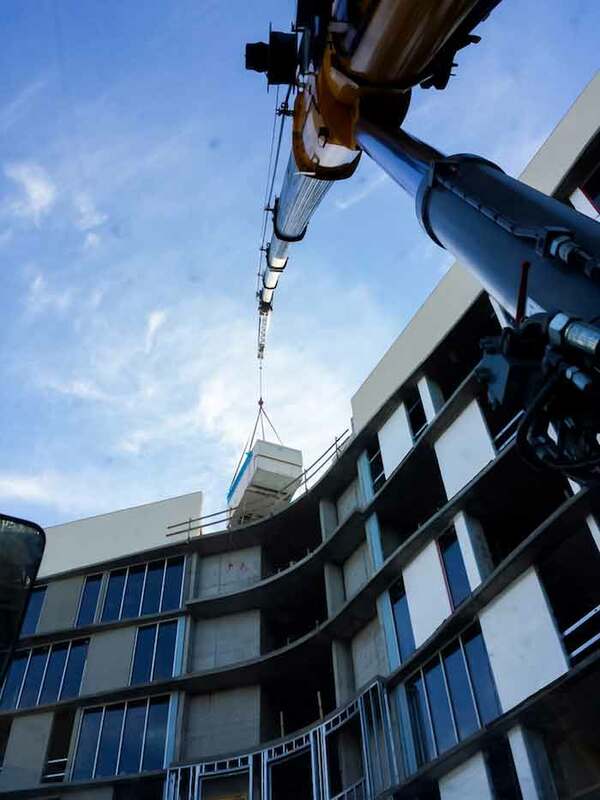 Skilled operators ensure safe and fast placement of your units. Cell phone tower construction, maintenance, and upgrades. 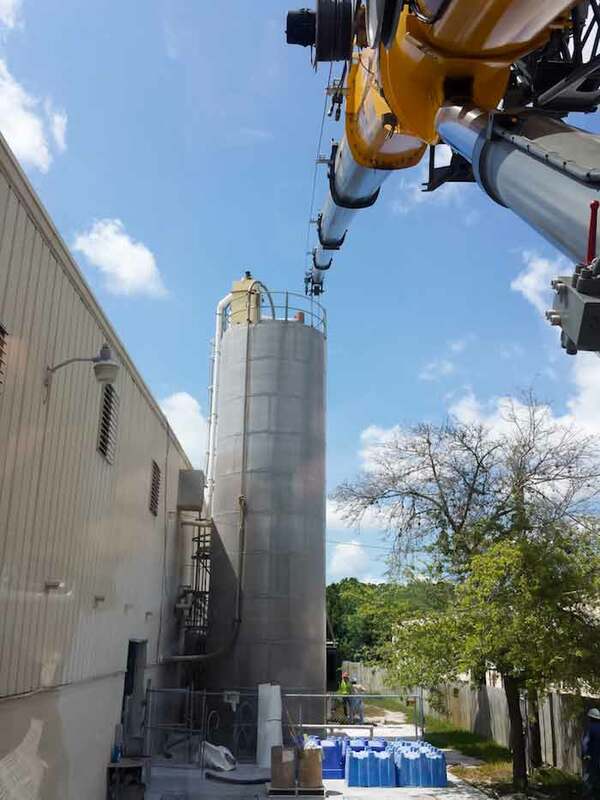 We are currently able to work on towers up to 240 feet with man baskets available for your personnel. 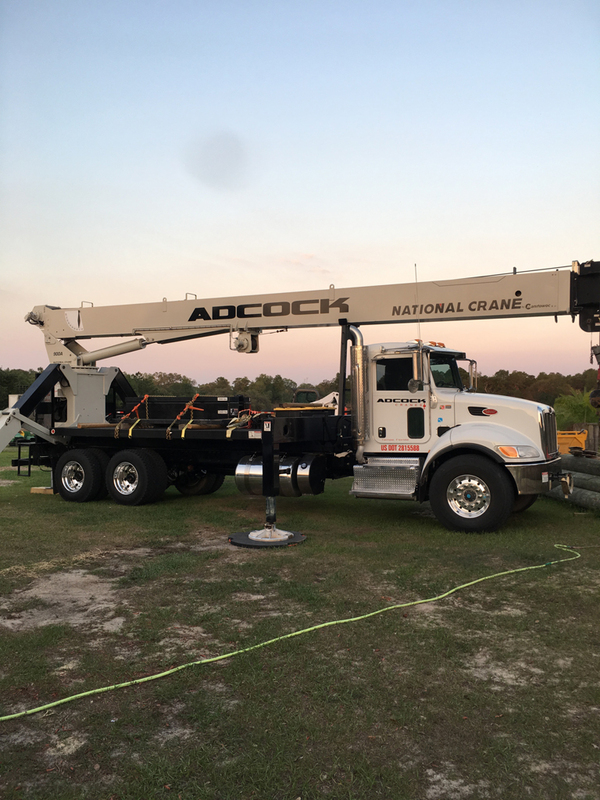 Operators at Adcock Cranes have assisted replacing hundreds of lattice towers with concrete poles. 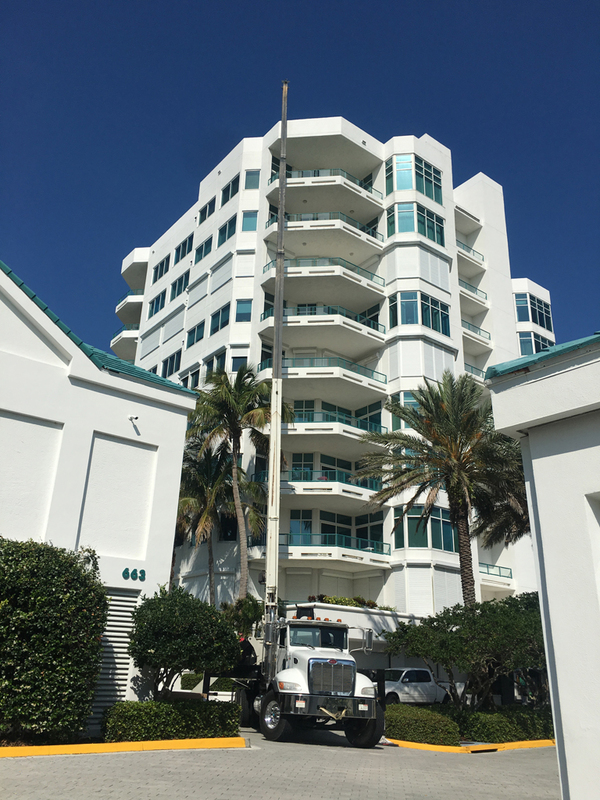 Most were done on live wires working alongside the industry's top linemen. Large tree removal and tree moving as well as heavy rock moving, grading your landscape fast and efficiently to your specs. 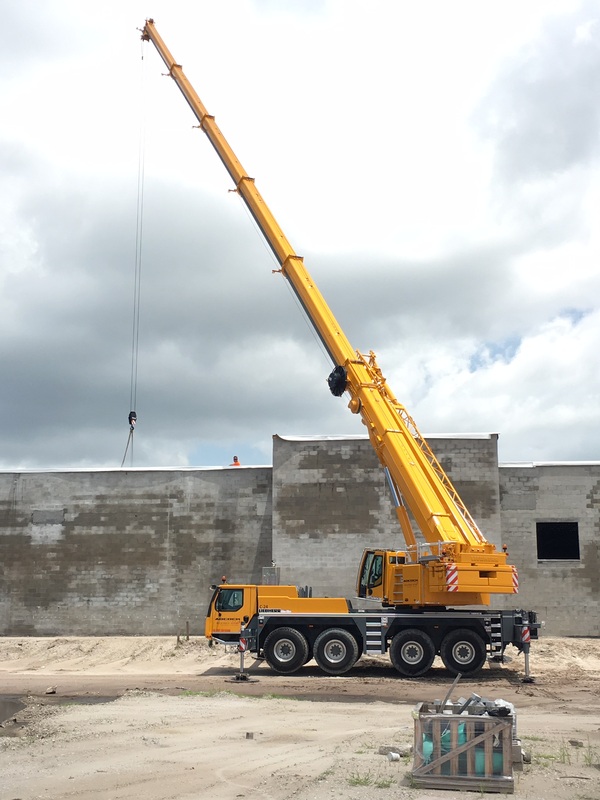 At Adcock Cranes, we utilize our machines for all types of construction projects. 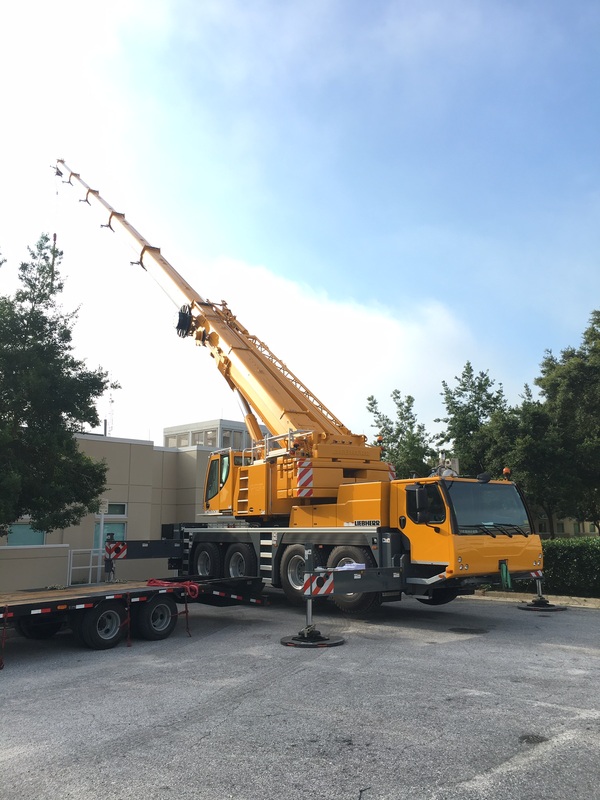 Large and small, from boom trucks to all terrain hydraulic cranes. We have the equipment needed to complete your task. Setting bridge beams is nothing new to the operators at Adcock Cranes. We've worked on projects over the years in all the southeastern states. Mark Adcock has been involved as the operator on many lifts where historical objects were being moved. 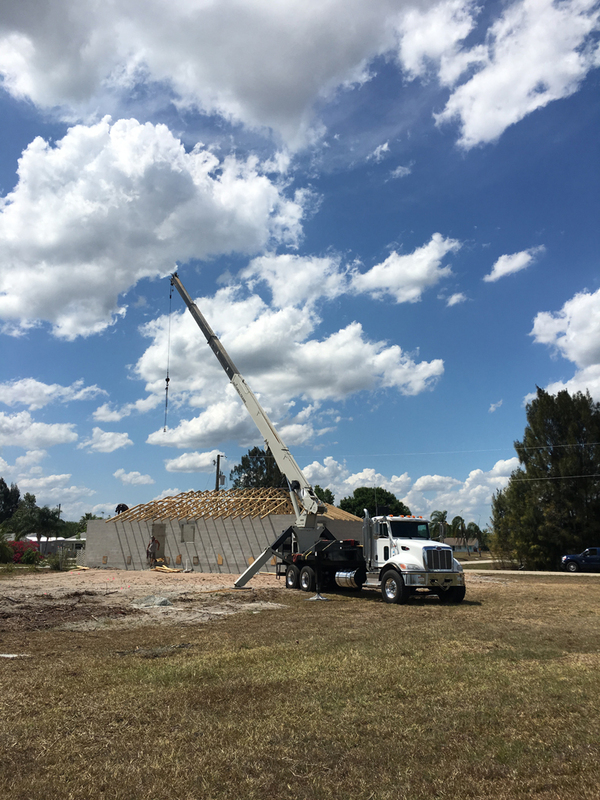 Let the professionals at Adcock Cranes use their years of experience and safe lifting practices to help you plan and execute lifting your priceless articles.